Delivery within one hour - choose anything from Beer Store, LCBO (Liquor Store), and convenience store. Dial 416-890-7374 for a bottle delivery service in Toronto - beer delivery, liquor delivery, wine delivery, alcohol delivery, and dial-a-bottle service from the Beer Store and Liquor Store - LCBO. We will also pick up snacks, pop, mix, cigarettes, ice and more from the convenience store. Just give us a call 416-890-7374 or Order Online and we will do the driving for you - always on time. LCBO Home Delivery - Choose convenience over in-store line ups and traffic. We will bring the LCBO to your door in one hour or less. Wine Delivery Toronto - Liquor Store and Wine Rack products available for home delivery. Choose Wines from all over the world - Canada, USA, Australia, Chile, Argentina, Italy, France, Portugal, Germany, South Africa, Spain, Japan and more. 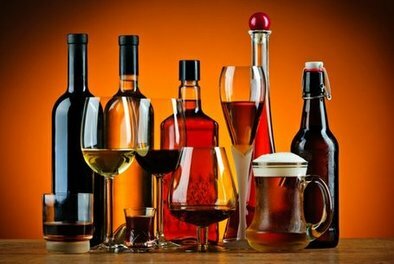 Liquor Delivery Toronto - Select any bottle from the﻿ LCBO﻿. The Liquor Store offers a broad selection of spirits, beers, and wines available for liquor home delivery in Toronto. Our Liquor delivery service is fast, affordable and friendly. Beer Delivery Toronto - Choose your bottles from the Beer Store and get beer delivery in Toronto in under one hour. The assortment available at the Beer Store will suit any taste even the most sophisticated. Gift Delivery Toronto - We offer a customized gift delivery of wine and liquor bottles to anywhere in Toronto. You can add a personalized gift card with a message, and a gift bag to make the surprise even better.